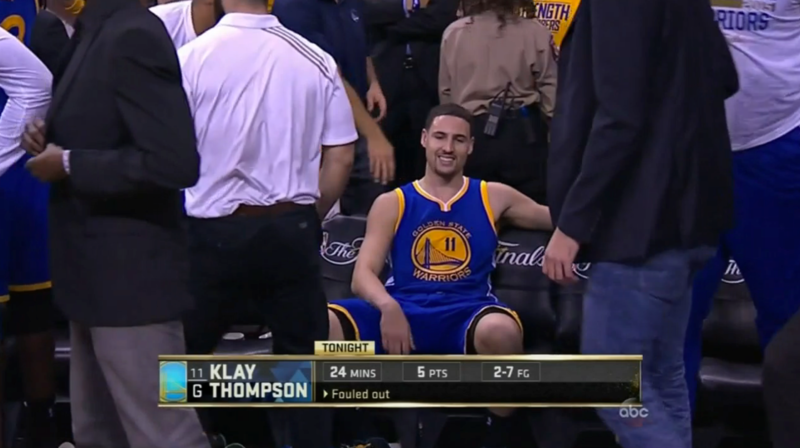 Klay Thompson: 7/4/3/1/2 on 3-for-12 FG (0-for-4 3P, 1-for-1 FT) and one TO. It’s not fair to chirp Klay for one bad line, but he’s definitely not shutting up the haters who didn’t think he deserved the all-star nod. I get that Klay plays solid D, but I personally would’ve preferred to see Lou Williams or Devin Booker in the big game. Alas. Kevin Durant: 20/9/2/1/1 on 7-for-18 FG (1-for-5 3P, 5-for-7 FT) with two TOs. Draymond Green: 15/11/5/1/3 on 4-for-11 FG (1-for-4 3P, 6-for-6 FT) and four TOs. It’s crazy that three of the four Warriors all-stars can have relatively poor shooting nights, but the team can still pull out a win against the best team in the East on the back of Steph. Kyrie Irving: 37/2/4/1 on 13-for-18 FG (5-for-6 3P, 6-for-8 FT) with three TOs. He also had a nifty move to cook Curry. Jaylen Brown: 20/2 on 6-for-9 FG (3-for-4 3P, 5-for-6 FT) with two TOs. Al Horford: 15/13/3/1/2 on 6-for-15 FG (2-for-3 3P, 1-for-2 FT) and three TOs. Maybe I sound like a hypocrite/Horford apologist, but I have no qualms about Horford being an all-star. He does everything extremely well, and his contributions go beyond his points scored. Jayson Tatum: 4/5/0/1 on 2-for-9 FG (0-for-3 3P) and one TO. His shooting has been awful since the New Year and it looks like he’s hitting a bit of a rookie wall. Marcus Morris: 12/8/2/1 on 5-for-15 FG (1-for-5 3P, 1-for-1 FT) and one TO. Andre Roberson: Ruptured his patellar tendon as he was cutting to the basket. He’ll be out for the season. This doesn’t have huge fantasy implications, but it’s really unfortunate to see this happen to such an important player on an exciting team. Terrance Ferguson will probably see increased minutes with Roberson out, and he’s worth a speculative add in deeper leagues. Paul George: 26/3/2/3 on 6-for-13 FG (4-for-7 3P, 10-for-12 FT). Hey now, he’s an all-star! Russell Westbrook: 31/11/13/2 on 13-for-22 FG (3-for-4 3P, 2-for-4 FT) and six TOs. I honestly don’t know what I’d think if he averaged a triple double for a second consecutive season. Carmelo Anthony: 21/5/1/2 on 8-for-21 (2-for-6 3P, 3-for-3 FT) and two TOs. Andre Drummond: 12/13/2/1/3 on 5-for-11 FG (0-for-1 3P, 2-for-6 FT) and three TOs. He’s been a monster this season and is definitely one of the East’s notable all-star snubs. Tobias Harris: 21/3/1/1 on 6-for-13 FG (2-for-4 3P, 7-for-8 FT) and two TOs. Langston Galloway: Started again and went for 5/1/2 on 1-for-3 FG (1-for-2 3P, 2-for-3 FT) in 13 minutes. Ignore. Ish Smith: 15/3/9 on 7-for-8 FG (1-for-1 3P) and three TOs off the bench in 35 minutes. If he was dropped, pick him back up. Boban Marjanovic: 14/8/2/1 on 5-for-9 FG (4-for-4 FT) and one TO in 14 bench minutes. The per minute God does it again! He’s not a pickup unless he actually starts getting real consistent minutes though. Victor Oladipo: Slapped his former team to the tune of 24/5/6/1 on 10-for-20 FG (1-for-6 3P, 3-for-4 FT) and three TOs. The Magic didn’t deserve Dipo. Lance Stephenson: 21/5/6/2 on 9-for-13 FG (1-for-3 3P, 2-for-2 FT) and two TOs off the bench. He’s a very inconsistent player, but he’s found his stride slightly in his second stint with the Pacers. He’s worth owning in deep leagues. Myles Turner: 4/3/0/1 on 2-for-5 FG and one TO off the bench in 11 minutes. Still worth a buy low. Domantas Sabonis: 17/9/2/1 on 8-for-13 FG (0-for-1 3P, 1-for-3 FT). Turner and Sabonis should be able to coexist going forward. Thaddeus Young: 20/6/1/2/1 on 9-for-14 FG (1-for-2 3P, 1-for-2 FT) and one TO. Aaron Gordon: 22/11/4/1/1 on 9-for-20 FG (1-for-6 3P, 3-for-8 FT) and one TO. He also had a beauty of a dunk. Evan Fournier: 21/2/1 on 9-for-16 FG (3-for-6 3P). Bismack Biyombo: 10/4/0/0/1 on 4-for-5 FG (2-for-2 FT) and four TOs. With Nikola Vucevic’s return on the horizon, it might be worth trying to sell high on Bismack while you still can. Wayne Ellington: 17/2/1 on 6-for-14 FG (4-for-11 3P, 1-for-1 FT) and one TO. THRAGNOF! Tyler Johnson: 8/3/2/1 on 3-for-7 FG (1-for-1 3P, 1-for-2 FT) in 21 minutes after missing the last couple. He’s worth picking up. Hassan Whiteside: 6/10 on 3-for-7 FG and two TOs in only 18 minutes. He barely plays in the fourth quarter these days. I’d be concerned if I were an owner. Goran Dragic: 5/1/4 on 2-for-8 FG (0-for-3 3P, 1-for-4 FT) and two TOs. And people said this guy should’ve been an all-star over Kyle Lowry! Pffft. Josh Richardson: 19/2/5/1/1 on 6-for-13 FG (2-for-2 3P, 5-for-5 FT). James Johnson: 10/10/3/1 on 5-for-13 FG (0-for-5 3P) and five TOs. Definitely a mixed bag, but I still love me some JJ! Kemba Walker: 30/6/5/1/1 on 8-for-22 FG (4-for-9 3P, 10-for-14 FT) and one TO. The Hornets must be happy with this line. It increases Kemba’s trade value! Nicolas Batum: 9/4/3/1 on 3-for-13 FG (0-for-4 3P, 3-for-4 FT) and two TOs. What a miserable season for Nic. He’s been better recently (save for this game), and it really seems like he was rushed back too soon. After seeing how the medical staff has handled Michael Kidd-Gilchrist, I’m not giving them a lot of the benefit of the doubt here. Dwight Howard: On the other hand, monstrous season for Dwight! 20/16/1/1/4 on 7-for-16 FG (6-for-7 FT) and no TOs. This has to easily be Dwight’s best roto line on the season. Tomas Satoransky: 11/3/7 on 3-for-5 FG (3-for-3 3P, 2-for-2 FT) and one TO in 21 minutes as he filled in capably for John Wall. I wouldn’t expect much going forward though. Tim Frazier: 4/4/14/1/3 on 2-for-5 FG and two TOs in 27 minutes off the bench. Interesting line, but Tim’s probably only worth a stream if Wall misses another game or two, but that’s about it. Bradley Beal: 18/3/5 on 5-for-11 FG (2-for-4 3P, 6-for-6 FT) and to TOs. Markieff Morris: 23/5/3/1 on 9-for-12 FG (4-for-5 3P, 1-for-2 FT) and one TO. Otto Porter: 18/3/3/2/1 on 7-for-11 FG (2-for-4 3P, 2-for-2 FT) and three TOs. Porter is a connoisseur of exquisite rotisserie lines. Mike Scott: 19/1/3 on 8-for-13 FG (3-for-6 3P) off the bench in a blowout. Ignore. Dennis Schroder: 9/2/7 on 3-for-12 FG (0-for-5 3P, 3-for-6 FT) and three TOs. More like Dennis Schadenfreude amirite? Kent Bazemore: 3/0/1 on 1-for-9 FG (0-for-5 3P, 1-for-2 FT) and two TOs. More like, uhh, Cant Bazemore? Taurean Prince: 14/4/1 on 4-for-11 FG (4-for-10 3P, 2-for-2 FT) and one TO. Dewayne Dedmon: 14/5/1 on 7-for-9 FG (0-for-1 3P) and one TO in 23 minutes. Jimmy Butler: 21/6/5/2/1 on 4-for-14 FG (1-for-3 3P, 12-for-14 FT) and no TOs in his return. Terrible FG efficiency but elite FT volume. *kissing fingers like a chef* I love it. Jeff Teague: 2/2/4/1 on 0-for-4 FG (0-for-1 3P, 2-for-2 FT) and one TO. *kissing fingers like a chef* Terrible. Andrew Wiggins: 21/5/2/1/1 on 9-for-20 FG (0-for-3 3P, 3-for-4 FT) and two TOs. Karl-Anthony Towns: 16/19/1/1/3 on 7-for-16 FG (0-for-4 3P, 2-for-2 FT) and two TOs. Dude was feasting. Taj Gibson: 14/5/0/1/1 on 7-for-13 FG (0-for-1 3P). Jahlil Okafor: 21/6/0/0/1 on 9-for-14 FG (0-for-1 3P, 3-for-3 FT). He hasn’t done much outside of this game to warrant getting excited, but he might be worth a speculative add in deep leagues. Keep in mind neither Caris LeVert nor Rondae Hollis-Jefferson nor D’Angelo Russell played, so there were more opportunities to go around. DeMarre Carroll: 12/6/2/0/1 on 4-for-12 FG (1-for-5 3P, 3-for-4 FT) and three TOs. He was the only Nets started to score more than 8 points. Nik Stauskas: 15/4/2/1/1 on 5-for-10 FG (3-for-6 3P, 2-for-2 FT) and one TO. I’d ignore this one. Jarrett Allen: 10/5/0/0/1 on 4-for-4 FG (2-for-2 FT) and two TOs in 18 minutes. One of the few bright spots in the Nets’ future. Nikola Jokic: 11/16/11/0/2 on 5-for-13 FG (1-for-6 3P, 0-for-1 FT) and four TOs. Huge triple double for the big fella. He also had a nifty pass and the game-winning pull up. He’s apparently even starting to wear women’s Dove deodorant (seriously). He’s a special player. Gary Harris: 24/4/4/2 on 8-for-16 FG (3-for-7 3P, 5-for-5 FT) and one TO. Jimmy Butler-lite? Jamal Murray: 15/5/5 on 6-for-16 FG (3-for-6 3P) and six TOs. Trey Lyles: 13/10/1/1/1 on 5-for-14 FG (2-for-6 3P, 1-for-2 FT). Mason Plumlee: 6/8/1/2/2 on 3-for-7 FG and two TOs. So close to a rainbow! Coach seems to love him, so there are definitely worse plays for the time being. But he’ll probably become worthless once Paul Millsap returns. Harrison Barnes: 22/6 on 9-for-19 FG (2-for-5 3P, 2-for-4 FT) and two TOs. Maxi Kleber: 8/4/3/3/2 on 2-for-6 FG (2-for-5 3P, 2-for-2 FT). Pretty solid rainbow from Maxi, but I’m just to sure I can really put any trust in him. Yogi Ferrell: 12/3/4 on 5-for-13 FG (1-for-5 3P, 1-for-2 FT) and one TO. JJ Barea is out, so Yogi is worth a short-term add. Dennis Smith Jr: 13/6/6 on 5-for-18 FG (0-for-4 3P, 3-for-6 FT) and two TOs. Again, JJ Barea is out, which can only help DSJ. Big things are coming for this kid! Dirk Nowitzki: 11/5/1/1 on 4-for-11 FG (3-for-5 3P). My boy! Anyway, that about does it for this week’s edition of Any Given Saturday. As always, hit me up in the comments with any questions or concerns you have. Cheers guys! @J: I was thinking something surrounding Aaron Gordon, because he has a 3-3-3- playoff schedule. @J: I think Gordon + any of Tyler Johnson, Brogdon or even IT would be good for you. IT will be better than he is right now, but he might also take some games off as the season ends.